Platinum Communities provide continuing rehabilitation at our assisted living communities. Our health professionals can provide specific therapies and nursing services which are paid for by Medicare, with the added benefit of 24-hour assistance from our assisted living community staff. If you or your loved one require assistance with daily activities such as bathing, dressing or meal preparation after a hospitalization, our assisted living community may be a good rehabilitation option. Some of our assisted living communities even offer assistance with complex medical issues that require nursing services. Some of our assisted living communities have physical therapy and occupational therapy room in their building so that residents can take advantage of high tech equipment and receive therapy multiple times throughout the day. For those who are not ready to go home after rehabilitation, ask about our short term respite care stay which typically can last one month or more. When utilizing respite services you can bring as little or as much furniture from home as you would like to make the apartment feel like home. Seniors often find assisted living to be more flexible than a skilled nursing setting and helpful for their outlook on recovery. Therapy is not needed but the person is not confident enough yet to be home alone. Respite care can give the peace of mind that someone is available 24 hours a day for assistance and for immediate response to emergencies. The family is unable to assist with giving care at home because of their distance from the home, work, or do not have a safe place for their loved one to stay. If the patient has been hospitalized multiple times or is at risk to be re-hospitalized. You would like to have the peace of mind knowing the person has 24 hours a day of care. In a facility that is designed to help reduce risks of falling, becoming ill, to eat nutritiously, and to manage medications. Quite often persons that come in for respite care make the decision to stay as permanent residents. Getting needed care for the help needed in short term recovery is less traumatic than making an initial commitment to moving in from the start. 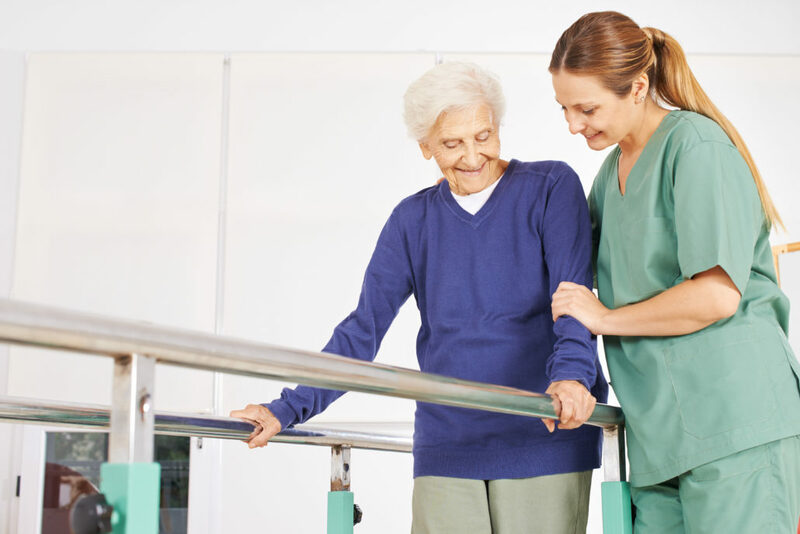 Physical therapy, strength training, stretching, and special exercises that are required for continued rehabilitation for a loved one is normally best accomplished by a professional physical therapist. If these needs need to be met various times throughout the day, a respite stay at Platinum Communities may be the best choice. We can provide for special diets, pureed foods, and special liquid needs. Will help be required for bathing or changing clothes? Am I able to cook and clean for myself? Is it safe to be at home alone? Is there a list of side affects to look out for? Do you have a list of providers for any medical devices that may be required?